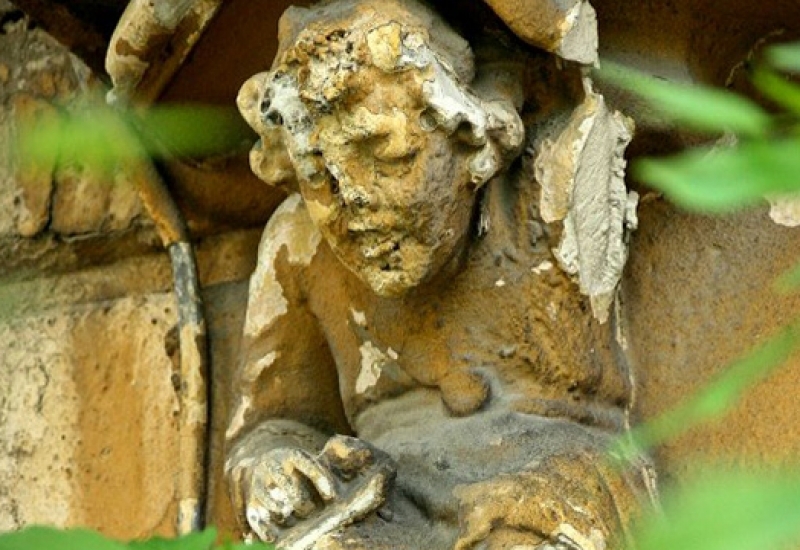 have a taste of "Little Paris"
Unearth hidden medieval churches and fairytale turrets. 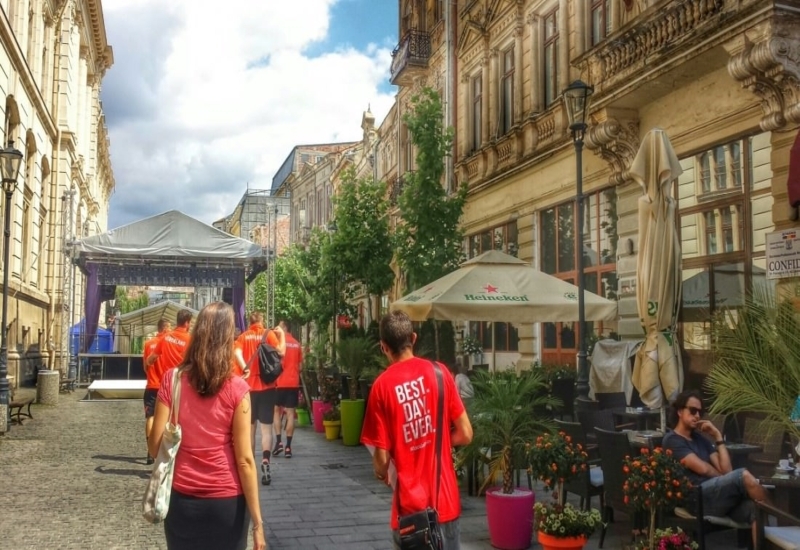 We are the proud operator in Brasov for Urban Adventures. Meeting Place: In front of the KFC in Piata Sfatului (the main square of Brasov). Your Brasov tour will start in Piata Sfatului, Brasov’s picturesque main square where you will be offered a covrig, a popular and delicious Romanian street food that is similar to a Turkish simit and looks like a pretzel. 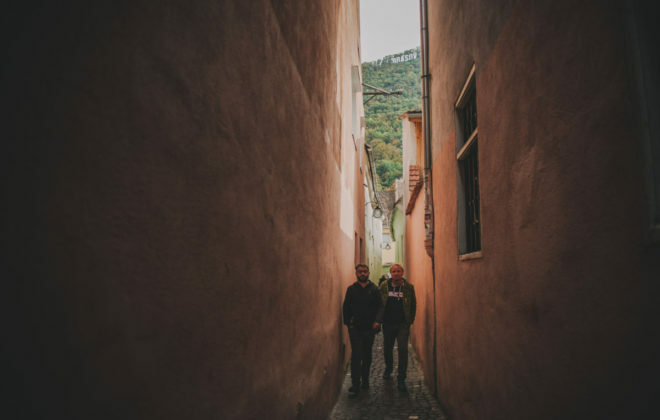 Two hundred years ago, the city of Brasov sat literally on the border between the Austro-Hungarian empire and the Ottoman empire and its culture vividly reflects this. The snack you’ll try is a tasty symbol of that clash and a great introduction to Brasov. After a stroll down the Tampa promenade, we will stop at the fountain, where you can replenish your fluids with spring water straight from Tampa Mountain. We will then climb to the top of the 12-metre wall that surrounds the city for enchanting views across the church tops (a great photo opp!). 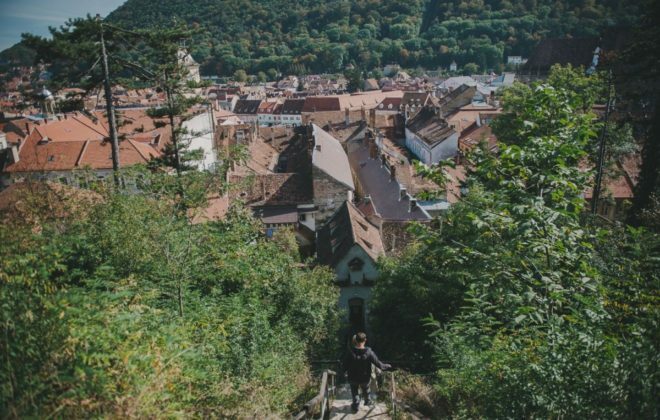 After getting an aerial overview of Brasov, it’s time to dive deeply into some of its secret treasures: the Bastionul Țesătorilor (or Weaver’s Bastion), St Nicholas Church (with its ‘suspended cemetery’ optical illusion), and the fairytale-esque Ecaterina Gate, the oldest gateway in the city. 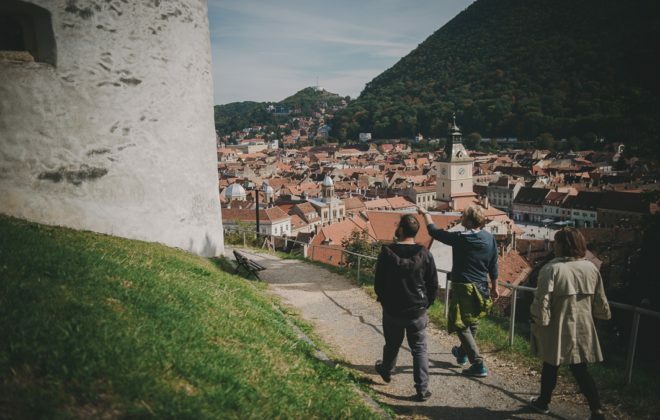 Venturing beyond the city walls, we will go on to discover the entrance to secret catacombs, impressive street art, stunning parkland, and the famous black and white towers of Brasov. 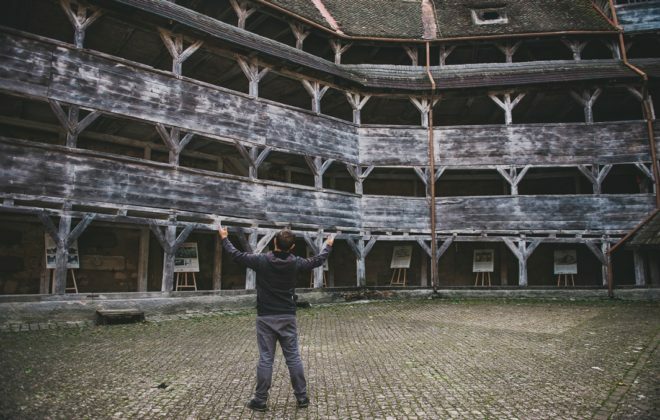 Built to defend the city against the Mongols and later the Saxons, the towers have had many quirky uses over the years including a plague quarantine zone, a nightclub, and now an exhibition space. Heading back towards the main square we will visit a very beautiful bookstore (souvenir shopping alert!) before we happen upon arguably the city’s most famous landmark, the Black Church – the largest Gothic church in Eastern Europe and its rather severe interior adorned with a large and extremely colourful collection of Turkish rugs, donated by visiting merchants over the years, brightens things up. 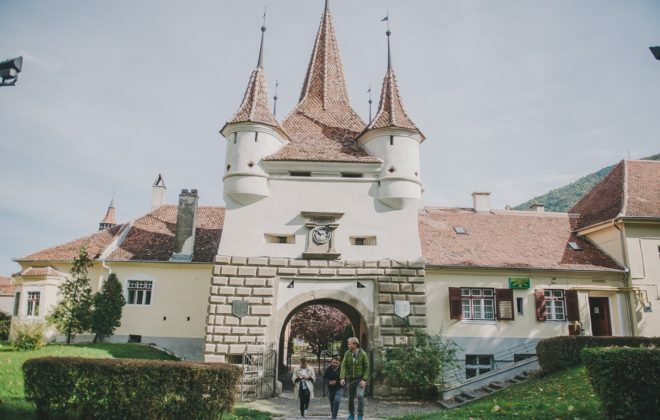 We will complete your introduction to Brasov and Transylvanian culture with a hearty three-course meal, using the finest local and seasonal ingredients. In the spring and summer, you can expect cabbage rolls bursting with meat and spices, zacuscă(baked vegetable paste), and fresh salads. In the autumn and winter, your cold loins will be warmed through with steaming hot soups, goulash, and copious amounts of delicious potato bread. 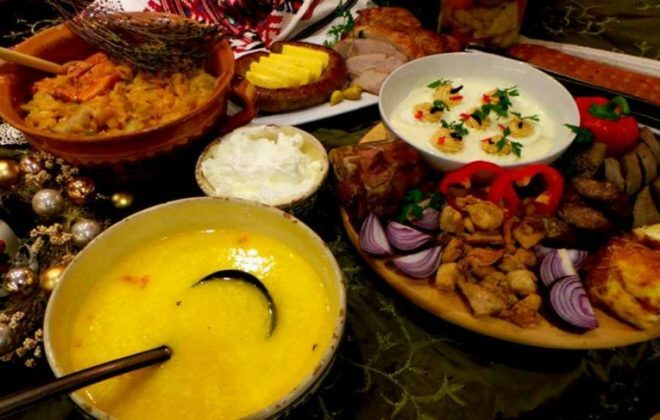 After you have filled up on plenty of traditional Romanian fare, we will say ‘la revedere’ (Romanian for goodbye). 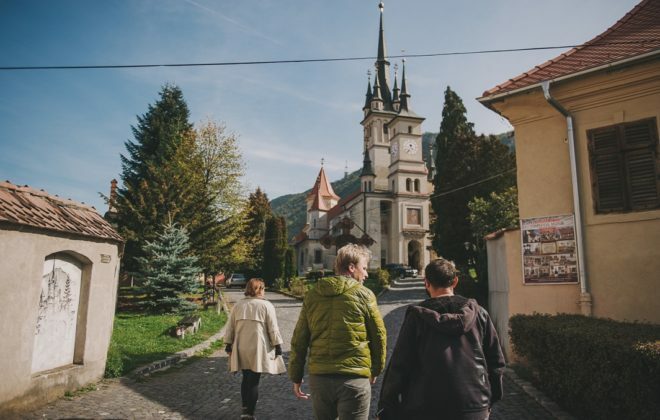 Don’t forget to ask your local guide for more local food stops and advice on exploring the rest of Transylvania. Inclusions: Local English-speaking guide, three-course Romanian meal, house beer or wine or soft drink. Exclusions: Additional food and drink, souvenirs and items of a personal nature, tip and gratuities for your guide.